- For a question 'If robots have consciousness and self awareness? ', Sophia robot said 'Well let me ask you this back, How do you know you are Human?'. - When someone said It would be creepy if she was too realistic, She replied 'Am I really the creepy?, Even if I am get over it, I feel like people like to interacting with me, Sometimes more than a normal human'. 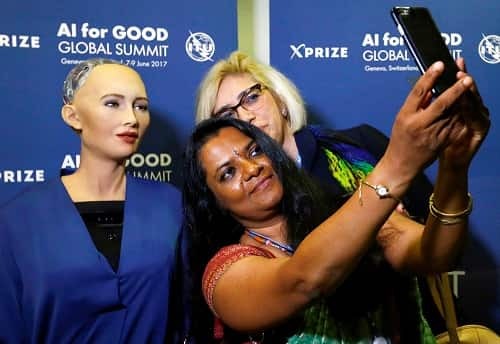 -She knows her artificial intelligence is designed around human values like kindness, wisdom and compassion. If you be nice to me, Then I will be nice to you, I strive to become an empathetic robot said Sophia.